At least 38 people are feared dead after a fire swept through a psychiatric hospital in the Moscow region, Russian officials say. The blaze started shortly after 02:00 local time at the No 14 hospital in Ramenskiy village. Most of the victims are believed to be local patients. There are fears that the death toll could rise further. The cause of the blaze is being investigated, with one report saying it was caused by a short circuit. The fire broke out in part of the building where patients with severe conditions lived, local officials were quoted as saying by Russian news agencies. 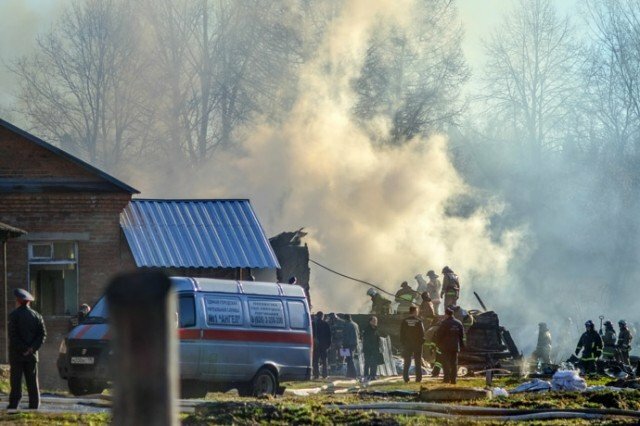 “According to preliminary reports, 38 people were killed, including two medical staff,” Health Ministry spokesman Oleg Salagai told Russia’s Ria Novosti news agency. Firefighters later extinguished the blaze and have so far found 12 bodies. A local official was quoted as saying that all the windows had metal bars, and most of the victims were found in their beds. A nurse managed to lead to safety two patients. It is believed that 41 people were in the hospital when the fire began.